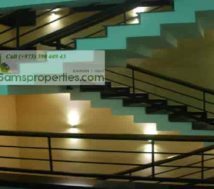 House for sale in Kovalam Trivandrum. Millionaire’s choice! Kerala house sale. 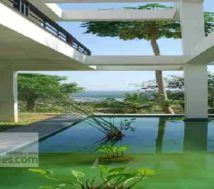 Luxury five bedroom house with three acre farmland for sale in Kovalam Trivandrum. Rich farmland with full of trees and indeed, with panoramic view all around. 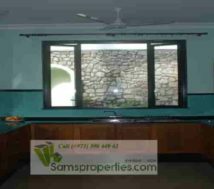 House for sale in Kovalam Trivandrum. This five bedroom house is brand new and with lots of amazing facilities as well. The total area is 13100 square feet which is with superb furnishing and fittings. 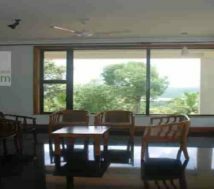 In addition, there have superb facilities as well. 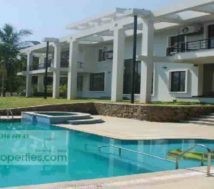 That is to say that there has large swimming pool on the front side which is with bright sky view. Wow! Beautiful open view to the large horizon and to the silent valley ahead. Indeed, it is so beautiful to look at. Moreover, the pool is with water treatment plant as well. Further, the full house is with solar energy. This makes the utility bill to a low level. Besides, this large house is with 68000 liter rain harvest tank which helps to get pure rain water throughout the year. Additionally, there have a 500 feet 2 borewell. 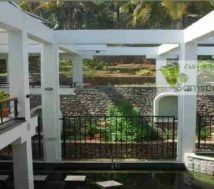 House with three acre farmland in Kovalam Trivandrum. Above all, this large house is with three acre farmland as well. House with three acre rich farmland which makes this house a joyful bungalow. This three acre land is with full of trees. That is to say that this surround farmland is with 60 Coconut trees | three hundred Teak | Mahogany | Jack fruit | Mango and other plants and trees. In addition, thee have servant room near the kitchen and security / driver room as well. The house is with full compound wall. 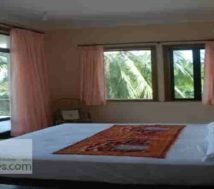 Sale price of this Kerala house in Kovalam (Bidding). 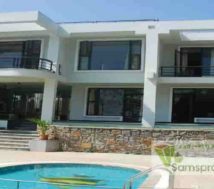 The sale price of this super luxurious house with three acre land is Rs. 10 crore (Indian Rupee 10,000,000 or 10 million). Of course, the house and land is on bidding system and you may have to send your offer now. 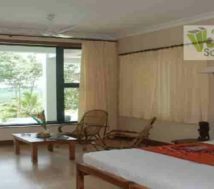 In conclusion, this Kerala house sale in Kovalam Trivandrum is a best choice. Indeed, a good choice for Millionaires who enjoy the luxury of life.